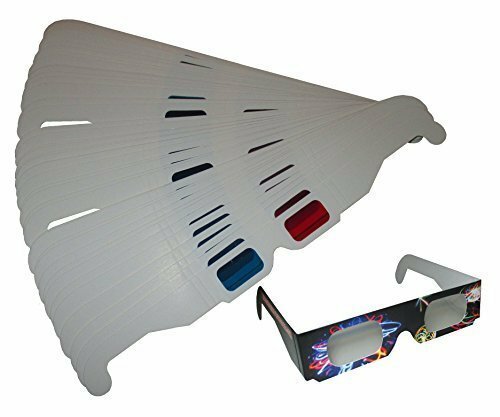 50 pairs of red/cyan glasses (reversible) and 1 pair of our exclusive Orbit Specs Fireworks Diffraction Glasses! Diffraction glasses are great for viewing fireworks displays, holiday lights, concert/music festival lights, even the moon and stars! Glasses are foldable paperboard construction. 3D glasses are reversible so the red/blue lenses can go over either eye for either 3D viewing format! If you have any questions about this product by Rob's Super Happy Fun Store, contact us by completing and submitting the form below. If you are looking for a specif part number, please include it with your message.